Ex-Manchester United man Michael Keane has revealed an interest in joining the Red Devils next season. Keane graduated from Manchester United’s academy in 2011, making just one appearance as a substitute for the club before he was loaned to Leicester City in November of 2012. He was also the winner of the Denzil Haroun Reserve Player of the Year in 2012 with Manchester United. The Burnley defender has since progressed rapidly, which has earned him a call-up to the senior England team. On top of that, some of the finest English sides have shown interest in the Clarets man – including Mancester United, Manchester City, Liverpool, and Everton. However, the Red Devils seem to be the ones​ that interest Keane. 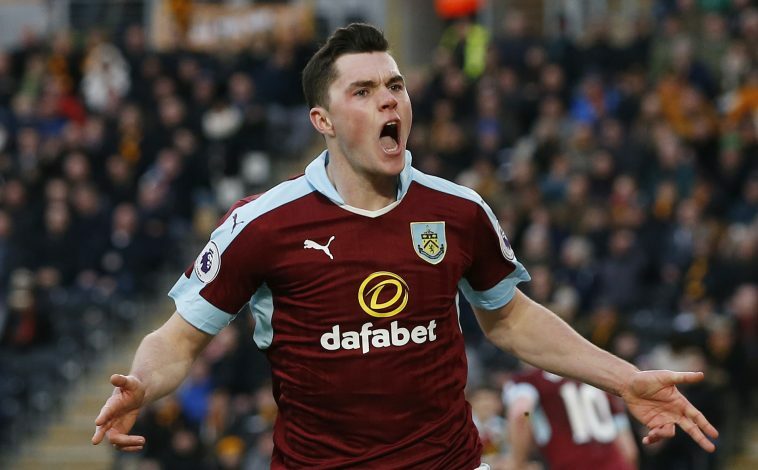 A number of potential defensive targets have already been mooted for a transfer to the Theatre Of Dreams, though none as consistently as Michael Keane. In recent chat with a fan, Keane expressed that he hoped to join the club in the coming season. Jose Mourinho will surely be looking to strengthen his defensive back line and the club now have an opportunity to sign a quality player equivalent to Manchester City’s John Stones. Keane has registered more tackles, interceptions and clearances than Stones this season. However, it’s the centre-back’s composure and ability to read the game that has been the talking point, making him one of the top prospects in the summer transfer window.